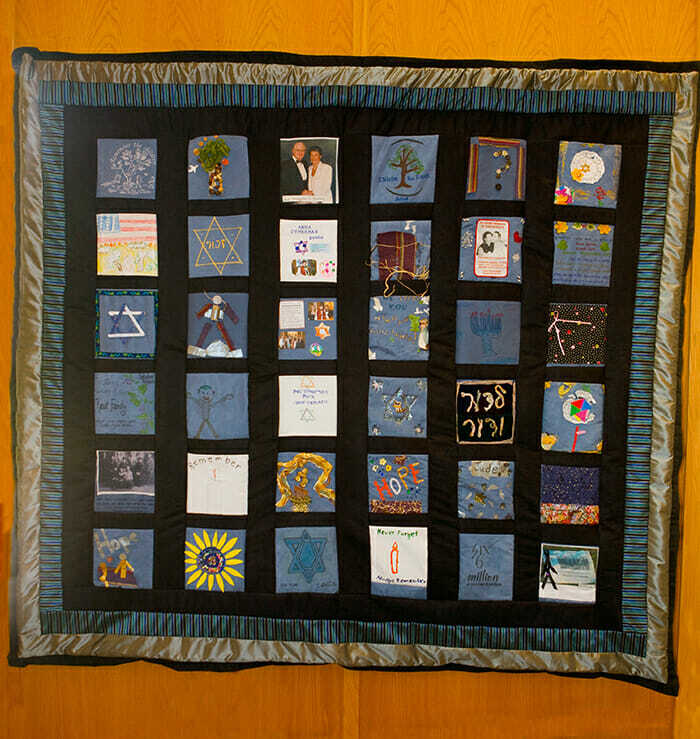 Three Quilts of Memories, adorn the walls of the Kamenir Chapel at Mount Sinai Simi Valley. 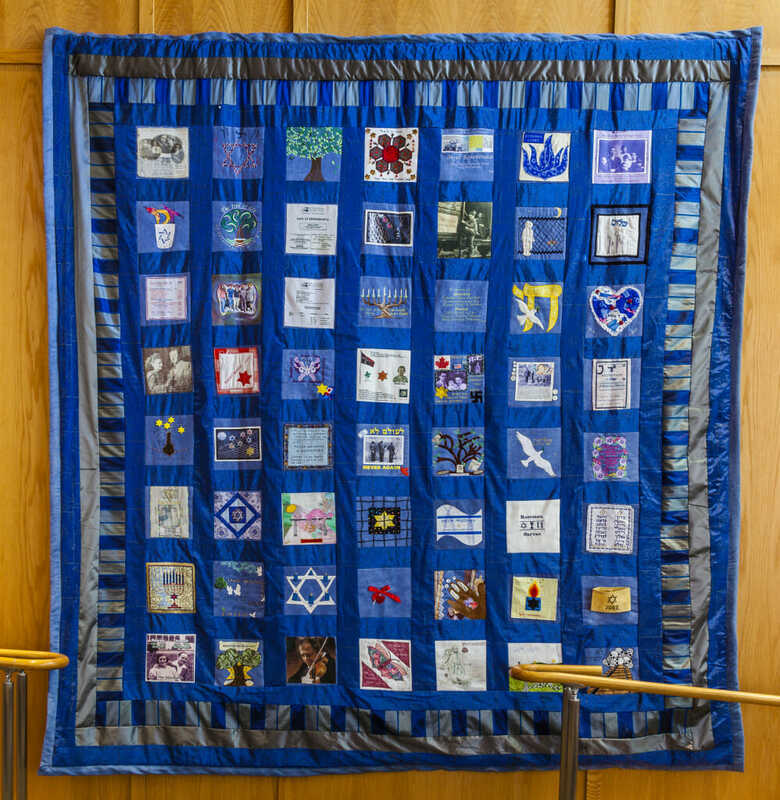 The Quilts of Memories were created in 2008 when Mount Sinai invited people to submit squares that commemorated or spoke to the Holocaust in any way they wanted. 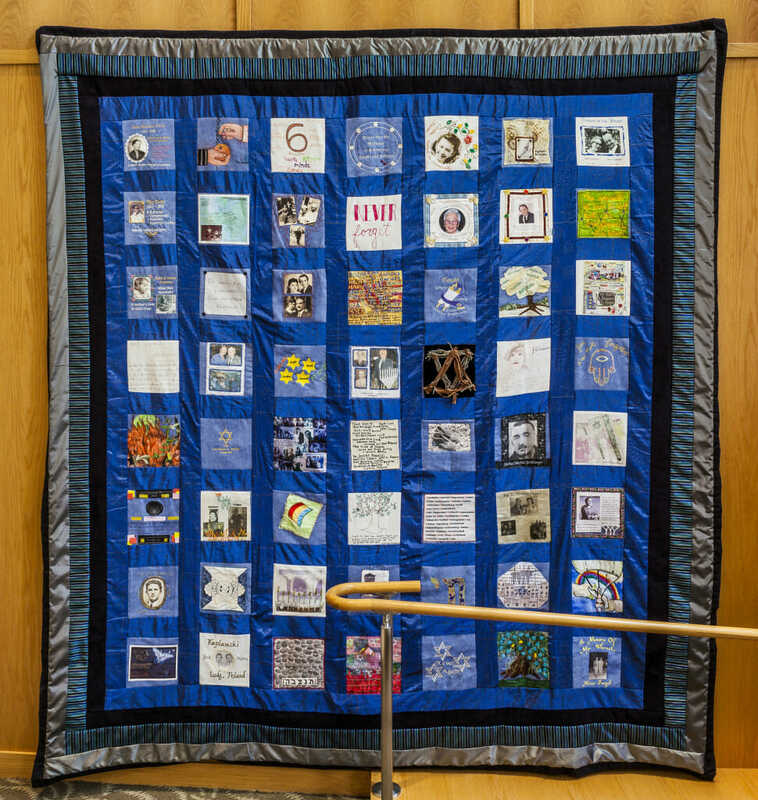 The response was overwhelming and instead of receiving enough squares to create one quilt, Mount Sinai wound up with enough hand-crafted squares to create three quilts. Each square is unique. Each one tells a story of tragedy and hope. 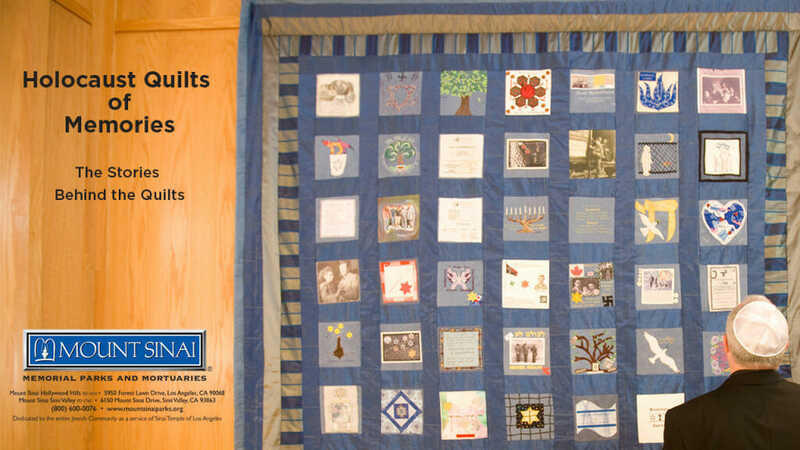 Click on each of the quilts below to see all of the details of each square. beautiful background stories from some of the contributors.